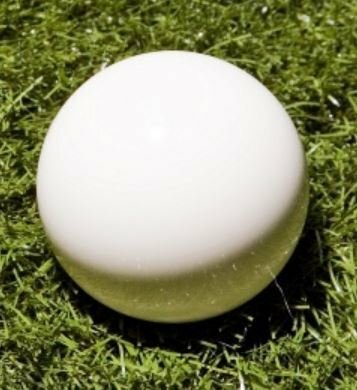 White Pallina, made by EPCO They are 57mm (2.25") in diameter so are easy to see over a long distance or when playing on grass. Made from the same Partek composition resin material that the EPCO Bocce Balls are made from To get better value for money on buying pallinas, please see 2-packs and 3-packs of pallinas. Also on Amazon, we offer a 3 pack, 5 pack and 10 pack version of this product.